Have You Sent in Your 2017-18 Pledge? 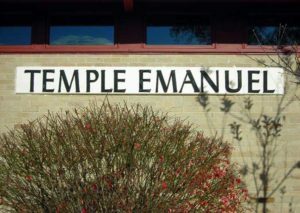 It’s the time of year to consider your membership commitment to Temple Emanuel. Our temple continues to be a warm, welcoming and eclectic place where we gather together to support each other and build a vital Jewish community. Our rabbi, Robin Sparr, brings us her passion for Jewish life, worship and song, along with thought provoking education programs and pastoral support. Whether you attend Friday services, an adult education class, participate in social action, volunteer on committees, play mahjong or have children in our religious school, you help the Temple flourish. To ensure our Temple thrives, one of the most important things we can do—in addition to giving our time and energy—is to financially support it. Our annual projected budget is approximately $100,000. Excluding fundraising and other donations, if the total budget is divided among current member households, the average cost per member household would be $1923.07 per year, or $160.25 per month, based solely on annual pledges. It is expected that each member financially contribute. Consider pledging what is comfortable and perhaps that little bit more to help sustain our community. Whether it is $5 or $1000 per month, it all makes a difference. Please deeply consider what the right amount of financial support is for you and your family this fiscal year and indicate it on the Pledge Form. Your support is enormously appreciated.